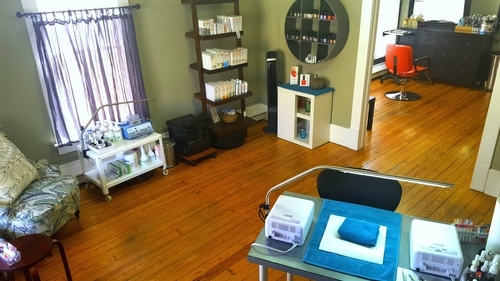 At Simply Enhancing Beauty Lounge, my focus is providing the highest quality salon services in a friendly, relaxing environment. I want you to feel pampered and enjoy your visit! 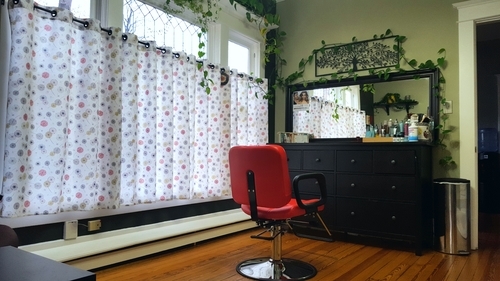 My salon is clean, cute, and quirky. I want to make sure you feel safe and can trust that my tools are clean and sanitary. I love being the hostess, let me take care of your salon needs! I am a one chair salon, so if you want to escape the hustle and bustle of your life and the big salons, you have found the place. I believe in life-long learning in order to be up to date on the most cutting edge products and skills. Please read my bio for more about what I do to expand my craft. I research my products for quality and natural ingredients to make sure you look your best AND aren’t exposed to unnecessary chemicals. I want to make sure we’re all healthy and happy and making the world a better place through the use of natural products whenever possible. If you’d like to learn more about what products I use and why, don't hesitate to ask! Our location is 311 E. Mulberry St, Suite C, Fort Collins, Colorado 80524. Parking is in the alley, which can be accessed from Mathews or Peterson. Once in the alley there is a sign that says, “Hair Studio Parking”. Please come in through the back door. Please let me know if there is anything I can do for you! I am happy to answer any questions you may have or to set up an appointment. Call me at 970-481-1575 or Email Me.